The money provided by SB 2059 is “lifeline” funding intended to help keep operations going and enable students to remain active in classroom learning. Full funding awaits continued work by the General Assembly to enact constitutional balanced budgets for FY16 and FY17. Illinois higher education has not received operational funding from the State since July 1, 2016, when FY16 began. 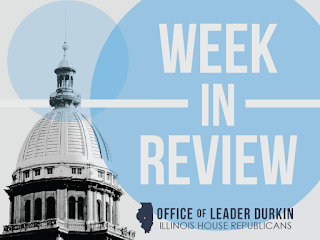 House Republicans Mike Fortner and Dan Brady identified a source of existing tax money, $600 million in the Education Assistance Fund, that could be used to provide stopgap funding for Illinois higher education. 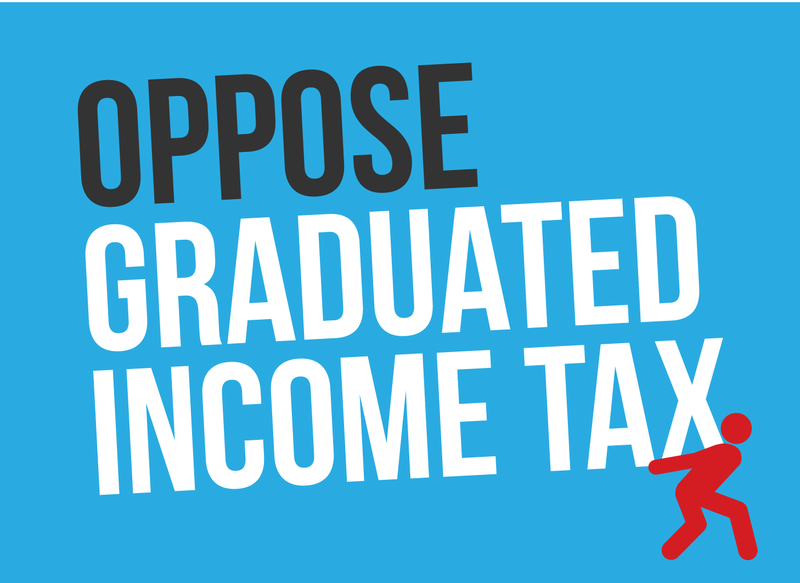 This was money previously withdrawn from the general revenue funding stream generated by the existing Illinois income tax as a rainy-day fund for purposes of Illinois education. Using this money will not require a tax increase. All House Republicans present and voting on this measure on Friday, April 22 voted for the bill. Governor Rauner’s signature allowed this bill to become law as P.A. 99-502. The Governor expressed optimism this week that this could be a sign that Illinois budget talks are about to get serious. In an interview, House Republican Leader Jim Durkin urged his colleagues to use SB 2059 as a stimulus to conduct further talks on other issues with the goal of enacting a constitutional balanced budget before May 31, the scheduled end of the 2016 spring session. Illinois is currently the only state in the U.S. without an enacted budget for FY16. Central Illinois nuclear power plant could be shut down soon. The Clinton Nuclear Generating Station, a one-reactor power plant complex, is located in DeWitt County near the county seat of Clinton. Now 29 years old, the reactor can generate up to 1,078 megawatts of power. The huge quantities of nonradioactive boiling water generated by the reactor are cooled by being piped into adjacent Clinton Lake. When it went into commission in April 1987, the Clinton plant was a state-of-the-art nuclear generating facility. Current owner ComEd reports, however, that the facility has lost $360 million over the past six years. One problem is that unlike ComEd’s other reactor complexes in Northern Illinois, Clinton has just one reactor. The plant’s 700 workers and their payroll expenses are amortized over a lower production base than would be the case for a two-reactor complex. ComEd and its corporate parent, Exelon, generated approximately 50% of the total supply of electricity produced in Illinois in the most recently calculated production years, 2013. Exelon’s 100 million megawatt-hours are dominated by the firm’s 11 Illinois reactors. While enthusiasts point to the potential for increased electrical power from solar cells and wind farms, Clinton’s friends respond that the electrical grid will continue to need energy supplies from sources that are not coupled to transient weather conditions. In Europe, even with its enthusiastic support for renewable energy, the European power grid continues to be buttressed by a system of French nuclear power plants. End of month sees payless payday for 118 members of Illinois House. The Illinois legislators were members of one the largest single groups of men and women affected by the decision of Comptroller Leslie Munger that she must shift the pay status of Illinois elected officials between payment queues. House members from both parties are paid, by law, at the end of every calendar month. Due to the State’s continued lack of a constitutional balanced budget, however, the Comptroller has determined that these payments to elected state leaders should be treated on a basis of equality with other budget-impacted State payments on an immediate basis. The decision became effective during the end-of-April pay period. The end-of-April business day was Friday, April 29. Elected official pay commitments, including pay for Comptroller Munger, for other statewide elected officials and for members of the Illinois House and Senate have been shifted to a wait-queue that will generate payments when monies are available. As with other providers of goods and services to the State, delay times are expected in the settlements of these commitments and claims. While the move nominally affects Governor Bruce Rauner, the State’s chief executive has announced that he is serving without pay. Observers see the move as increasing internal pressure within the General Assembly to discuss budget issues seriously with the goal of generating new spending numbers before the legislature’s scheduled May adjournment. Comptroller Munger’s office is currently posting a backlog of official unpaid bills that exceeds $6.8 billion. Governor Rauner’s task force against health care fraud organizes itself. The task force, created earlier in April 2016 by executive order, has been asked to look into possible fraud, waste, and abuse in state-administered health care programs. Illinois taxpayers pay $19 billion a year to administer and pass through payments on state-run health care programs. Most of this money is paid directly by state taxpayers to Illinois, and a large subset is paid through federal taxes paid by Illinoisans to Washington, D.C.-based programs in which both Illinois and the federal government collaborate and provide funds. 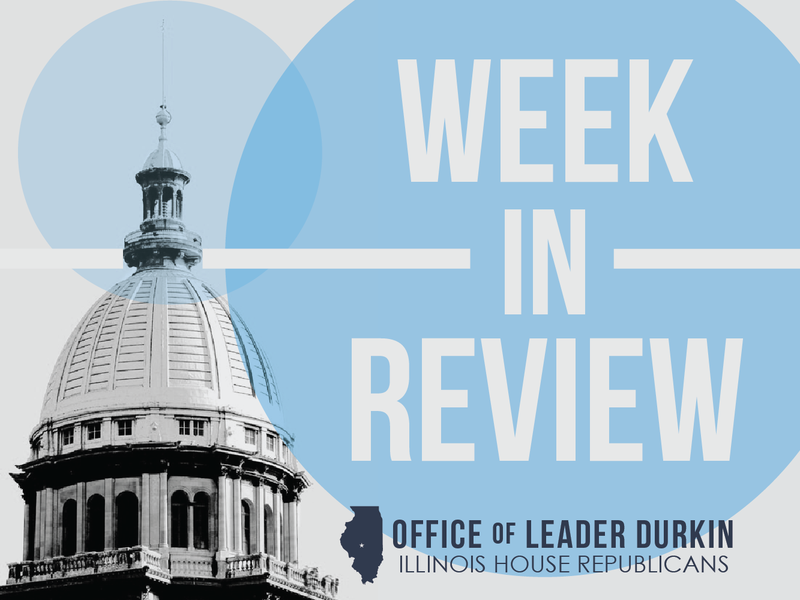 Rauner has asked the task force to review the best practices currently used by the private sector to examine and control soaring health care costs. Other states’ efforts to reduce Medicaid fraud and other forms of public sector health care abuse are also to be looked at. The task force will work with data managers skilled at “big data” analytics to uncover statistical patterns indicative of non-optimal health care billing and spending. 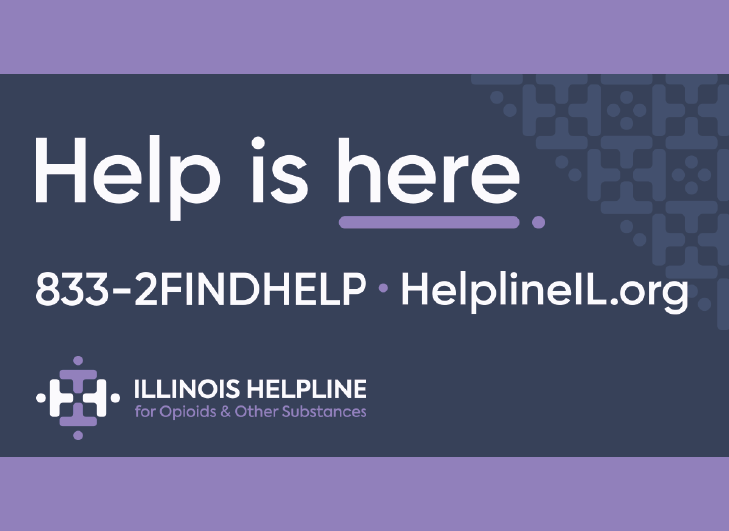 The task force has been asked to write a report that will: (a) make recommendations for policy changes the State needs to look at, and (b) refer specific cases of wrongful reimbursements to authorities to seek recovery on behalf of Illinois taxpayers. Spc. Tycjan Sieradzki honored. The 21-year-old from north suburban Algonquin, a member of the 244th Digital Liaison Detachment, won first-place honors in the Illinois Soldier of the Year competition held on April 7 through 10 at the Marseilles Training Center. The competition, open to members of the Illinois National Guard, is an annual exercise intended to recognize and honor excellence in physical fitness, mental toughness, and skill competence. A full-time truck driver when not on active duty, Sieradzki told a reporter that he had trained for the 2016 competition with calisthenics, by shooting at a local gun range, by self-orienteering for land navigation skills in wooded areas, and had worked with his unit mates to learn and memorize information for the brain-skill section of the competition. This was his second year in the ISY competition after coming in third in 2015. As part of his victory, Sieradzki has been honored with invitations to represent the Illinois National Guard in the NFL Draft ceremony and player selection event held in Chicago on April 28-30, and in the Midwest U.S. regional Best Warrior competition to be held in Ohio on May 16-19. A representative from the National Guard will be invited to the U.S. Army Soldier of the Year competition to be held at Fort A.P. Hill in southern Virginia on September 26 through October 3 of this year. Maker of specialty polymers consolidates jobs in Chicago area. The materials maker, which operates plants in Batavia, Illinois and in greater Cleveland, has announced plans to close its Ohio plant and to consolidate operations in Illinois. The move is expected to be complete by the end of 2016. Techmer PM’s Batavia plant compounds chemicals into additive concentrates, which are then sold to end-manufacturers. Many of its products add color dyes or physical capabilities to specialty plastics. The 26 Techmer employees currently based in northern Ohio will be offered jobs in Batavia, Illinois or at the firm’s facility in eastern Tennessee. Simultaneously with the move, Techmer PM announced that their Batavia plant had been designated as a “Midwest Center of Excellence.” The announcement was made on Tuesday, April 26. Techmer PM currently operates seven production facilities throughout the U.S.
New public-health recommendations indicate that Galesburg should consider bottled or filtered water. Illinoisans are hearing more about the dangers of lead in the water that we use for drinking, cooking, and bathing. In addition to specific problems being found in the water supplies of specific communities, one of the reasons for these recommendations is that doctors and public-health experts now believe that lead performs no health functions in the human body. Based upon current public-health knowledge, increasing numbers of recommendations are being distributed to try to discourage drinking water with even trace amounts of lead in it. According to the U.S. Environmental Protection Agency (USEPA), Galesburg is one of the cities in this category. As with other water systems with trace amounts of lead, the substance could be leaching out of old pipes and plumbing. Steps are being taken to improve the monitoring of lead in local water supplies. Similar recommendations may be made for other local water supplies in other communities. New study generates additional published evidence that Illinois owners, including homeowners, pay highest property taxes in nation. The study, published by CoreLogic, compares aggregated property tax extensions (the total amounts billed) with the value of the real property being taxed. According to CoreLogic, which the median property tax extension aggregate extension is 1.31% of the property being taxed, the median Illinois extension is 2.67% of value. This measurement scale makes Illinois the highest-property-tax state in the U.S., with New York second at 2.53% of value. The CoreLogic data indicates that if an Illinois homeowner is occupying a house valued at $200,000, the homeowner will be paying a median annual property tax bill of $5,340. As always, individual homeowners’ experiences may vary. Different localities within Illinois will have different property tax rates; and within localities, different property owners may enjoy the effect of specific property tax relief measures. For example, senior citizen homeowners should be able to enjoy some relief from the Senior Citizens Homestead Property Tax Exemption, which automatically subtracts some of the value from the assessment number generated for an eligible senior citizen’s house before the tax bill is generated. According to CoreLogic, neighboring states have lower property tax rates than Illinois. The California-based data aggregator generated median property tax burdens, calculated as a percentage of property value, of 1.95% in Wisconsin, 1.69% in Iowa, 1.26% in Missouri, and 0.88% in Indiana. CoreLogic’s data, published this week, agrees with previously public state-by--state surveys by firms such as WalletHub, which have also found Illinois to be one of the worst states in the nation in which to be taxed. Northern Illinois elected leader calls for workers’ comp reform. The workers’ compensation system asks employers of Illinois workers to make additional contributions on top of employee pay. Workers’ compensation is the system that repays medical care providers for the medical costs of treating injuries suffered on the job in Illinois. Employers pay insurance premiums to workers’ compensation insurers; the premiums are based upon the workplace’s claim history and the overall state of Illinois workers’ comp law. In an op-ed piece published on Thursday, April 28, Boone County Board Chairperson Bob Walberg reported that Illinois workers’ compensation insurance costs have risen much higher than comparable costs charged to employers in neighboring and comparable states. Boone County, which borders Wisconsin, and its employers are constantly made aware of comparable workers’ comp rates and their role as an element in the overall cost of doing business in Illinois. Illinois currently has the 7th highest workers’ comp rates among the 50 states, partly because of state law’s generous treatment of injuries incurred outside the workplace or as part of a pattern of events that included both workplace and non-workplace events. Walberg reports that on top of endangering job creation in Illinois, high workers’ comp costs also directly damage local taxpayers throughout Illinois. Local governments such as Boone County pay workers’ comp premiums as part of their overall employer-employee relationships. These costs are passed on to local taxpayers. The Illinois public sector pays $900 million in annual workers’ comp costs – an expense item that could be lowered by hundreds of millions of dollars each year if Illinois were to adopt patterns of workers’ compensation that more closely match those followed by the employers and employees of other states. With the danger of severe frosts diminishing, corn going into ground. A report from the U.S Department of Agriculture, distributed on Tuesday, April 26, indicates that at least 42% of the projected corn planting work is complete. This was 17% ahead of the 5-year average achieved by this calendar date, and was 30% ahead of the planting progress achieved as of one week earlier. Corn is almost always planted ahead of soybeans, and the beans are not in the ground yet. The same report showed 2% soybean planting implementation as of April 26. Relatively warm weather was praised for the relatively favorable corn planting conditions, with farmers out in the field whenever fields were dry enough for their machinery.